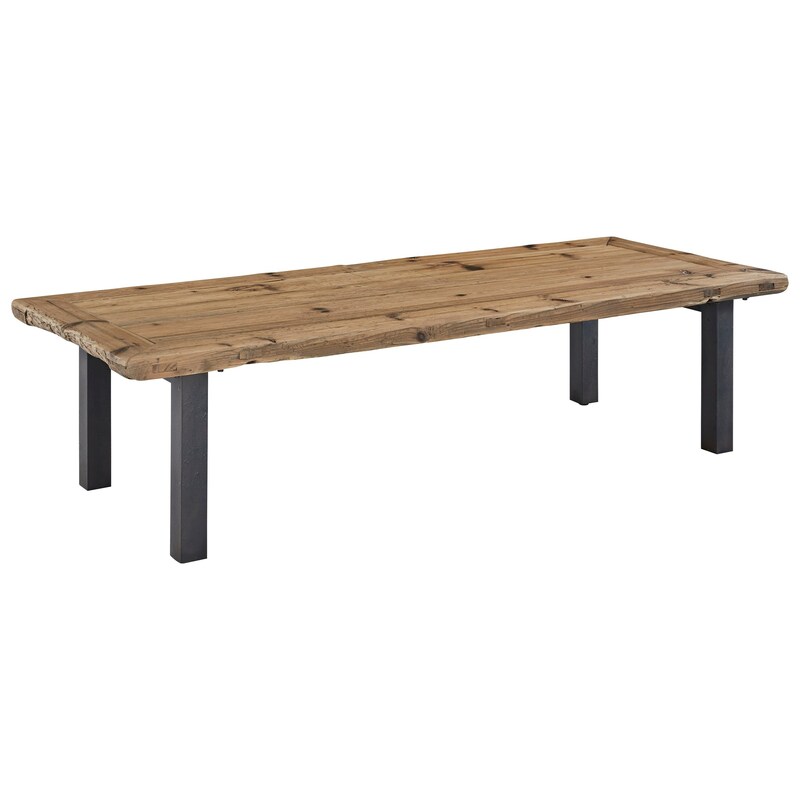 This reclaimed fir wood unique coffee table is made from an old door found abandoned in a Chinese village. With the door left in its natural state, it will create a rustic piece with character wherever you use it within your home. 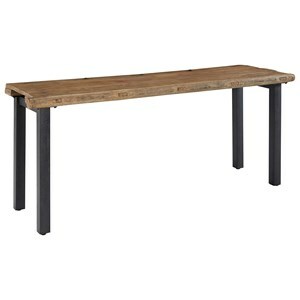 Complete with simple metal legs in the black finish, this piece balances rustic and contemporary style. *Due to the one-of-a-kind reclaimed nature of this piece, dimensions vary between 70-73" wide and 28-31" deep. The Haven One of a Kind Reclaimed Door Cocktail Table with Black Metal Legs by Progressive Furniture at Wayside Furniture in the Akron, Cleveland, Canton, Medina, Youngstown, Ohio area. Product availability may vary. Contact us for the most current availability on this product. Case Construction Natural reclaimed table top made from a Chinese door. Metal tubular legs in black finish. Incorporate a unique, one-of-a-kind reclaimed accent into your living space with your choice of this items available from this collection. The Haven collection is a great option if you are looking for Rustic furniture in the Akron, Cleveland, Canton, Medina, Youngstown, Ohio area. Browse other items in the Haven collection from Wayside Furniture in the Akron, Cleveland, Canton, Medina, Youngstown, Ohio area.